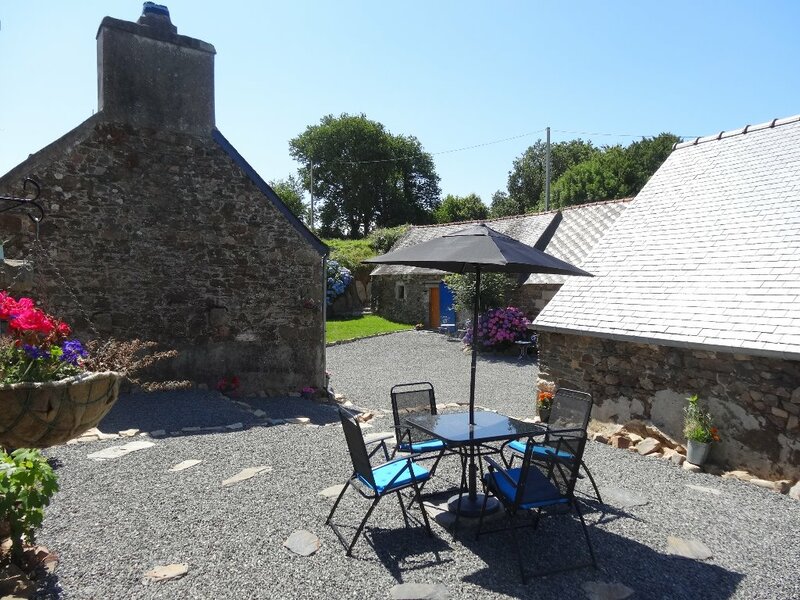 Pen ar Voas is situated just 1.5km from the long sandy beaches of St Efflam and St Michelle en Greve and just 4km from the vibrant market town of Plestin Les Greves. 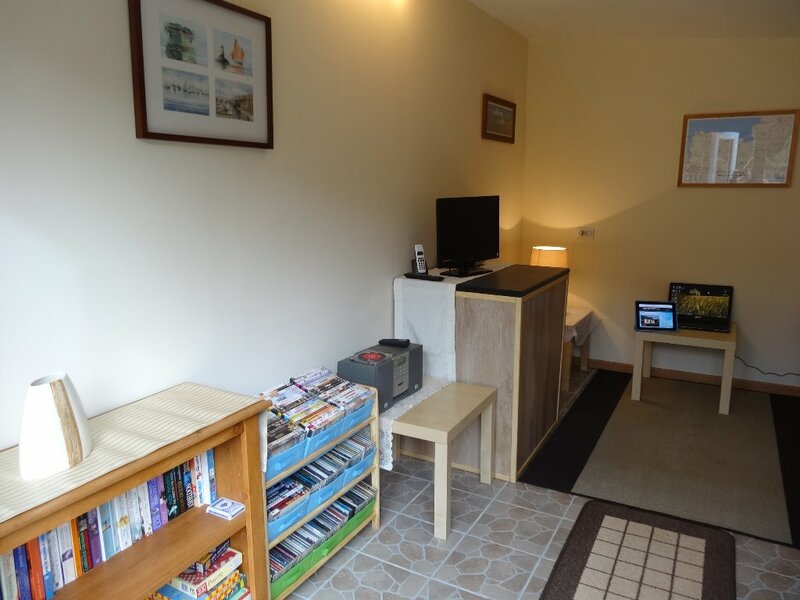 A rural and very peaceful environment with many activities in the very local area allowing you to do as much or as little as you chose to. 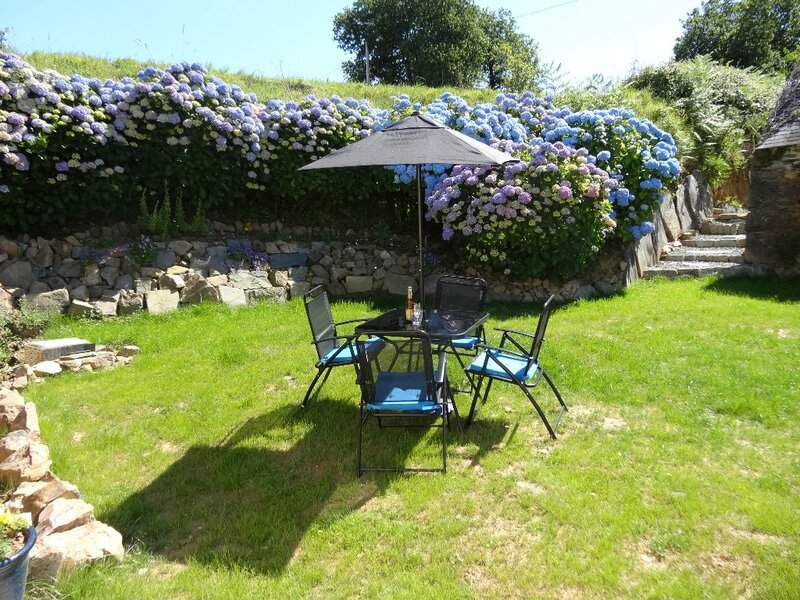 Rose is our 3 bedroom Gite and sleeps 7 persons in comfort. Downstairs is made up of a large lounge with traditional woodburning stove and comfy seating for up to 8 persons. 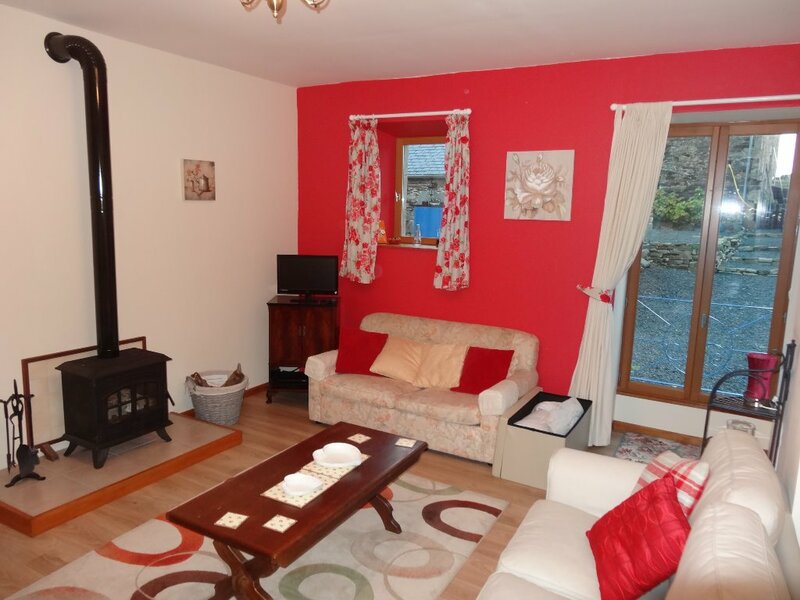 An open fully equipped kitchen/diner including dishwasher, electric oven and hob, fridge/freezer and microwave. The dining suite comfortably seats 8 persons. Also downstairs is the shower room including toilet and washbasin. 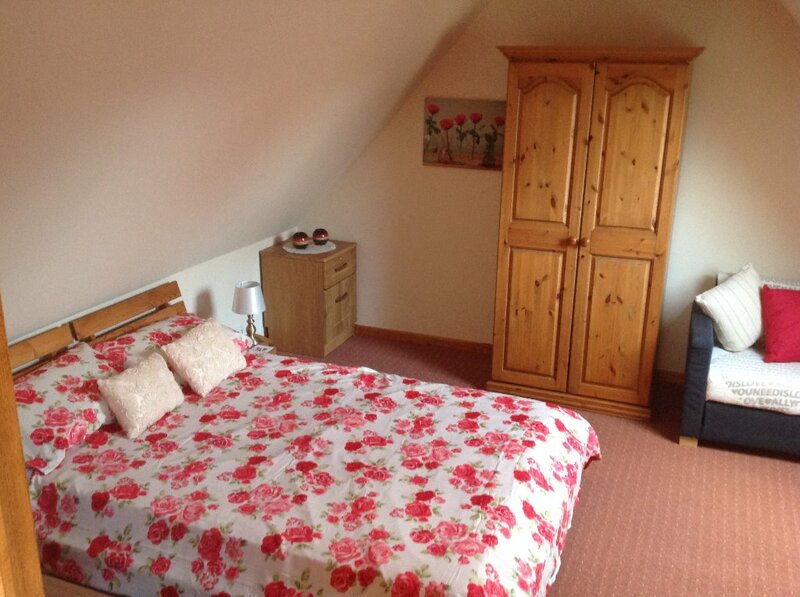 Upstairs, the master bedroom contains a double bed and is fully furnished and carpeted. 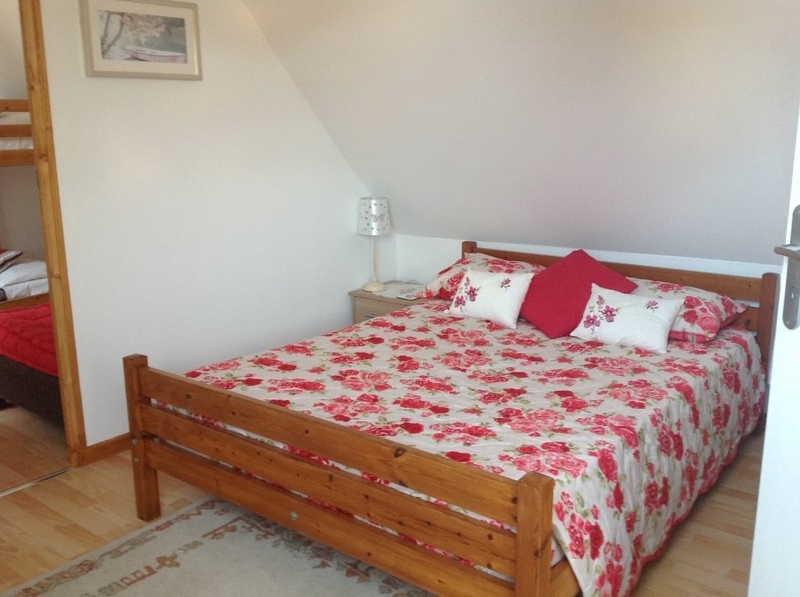 Bedroom 2 also contains a double bed and is fully furnished with wood floors and rugs. 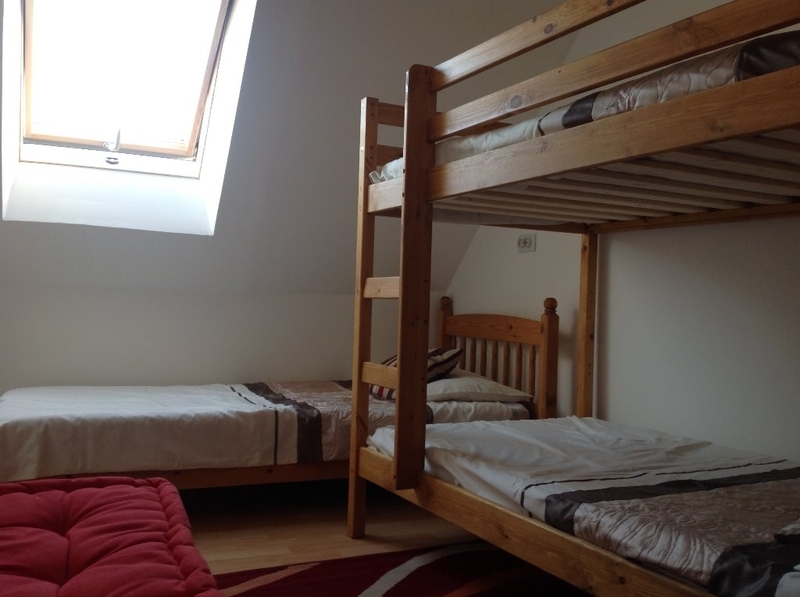 The third bedroom contains 1 single 3ft bed and a set of 3ft bunk bed, wooden flooring with rugs. Lastly upstairs is a small toilet with washbasin. Please be aware that to access bedroom 3 you must pass through bedroom 2. We have made a play barn containing full size table tennis and baby football. We have body boards, wet suits boules and various other equipment for your use at the beach. 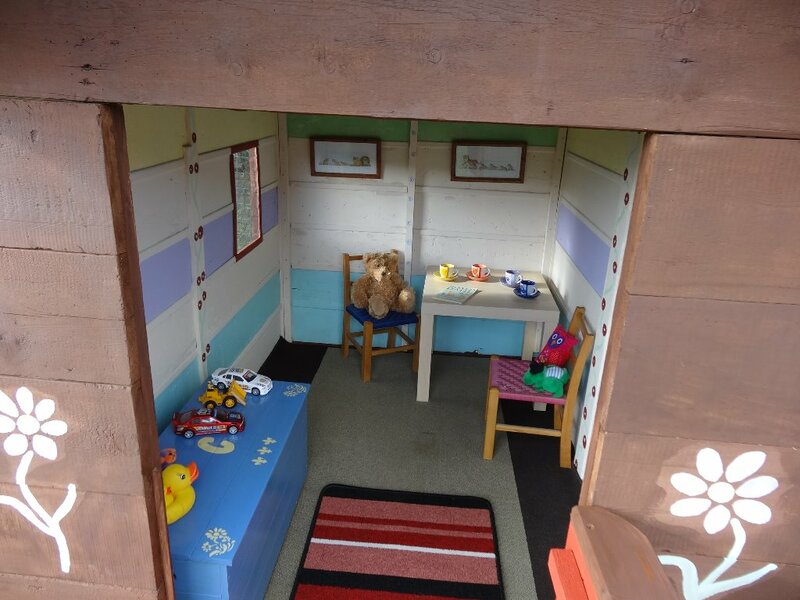 The Snug is our Wi Fi lounge and contains book library and various board games for your entertainment. 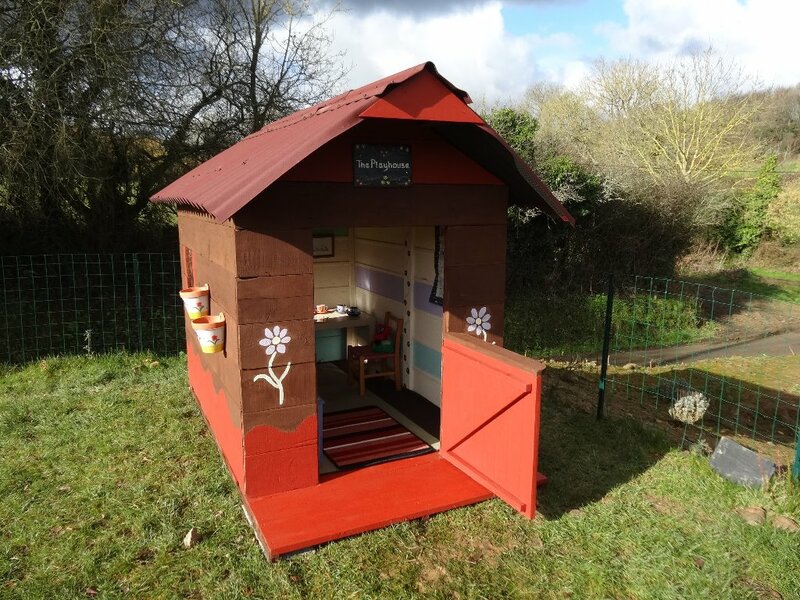 The gardens at Pen at Voas are well furnished with loungers, BBQ's and a playhouse for our younger guests. From Caen, Cherbourg and St Malo you will travel towards us on the N176 which becomes the RN12 just before Lamballe. The RN12 travelling towards Brest - Continue all the way through St Brieuc and Guingamp and continue past the Lannion turning. Take the next exit of the RN12 for Plestin Les Greves. This road will after approx 3 miles bring you into Tremel - continue through the village on the same road and approx 1 mile past the village you will see a white derelict hotel on your Left. Opposite the hotel there is a turning to your Right - signed to St Sebastian. Do not turn left towards Plestin but continue through and past and within quarter of a mile the first turning to the Left after the village is signed to Pen ar Voas. Follow the road down and round the Right hand bend and you will see 2 houses in front of you - directly after the houses there is a lane to the Left - signed to Pen ar Voas and we are just down on the Right. 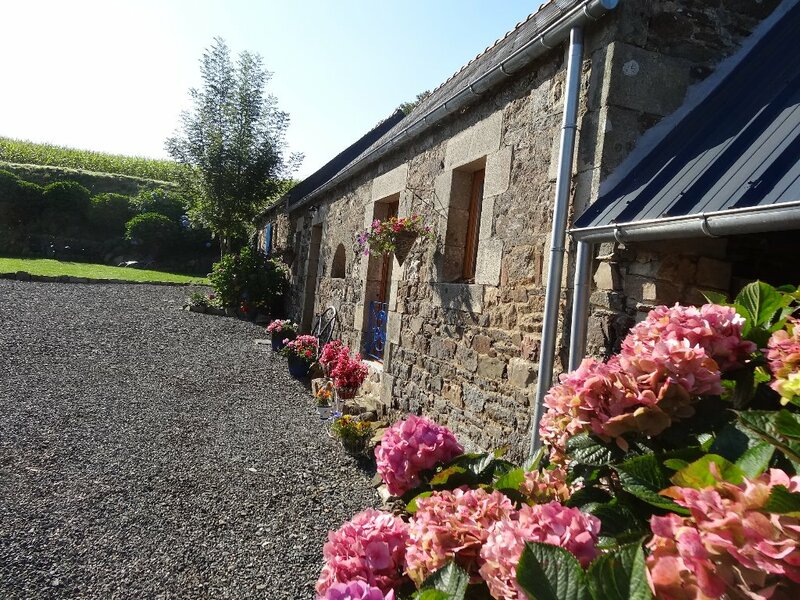 Pen at Voas is a quiet rural location situated just 1.5km from local beaches and 4km from Plestin Les Greves. Gite , 84 sq. m.
Booking information, Terms and Conditions. 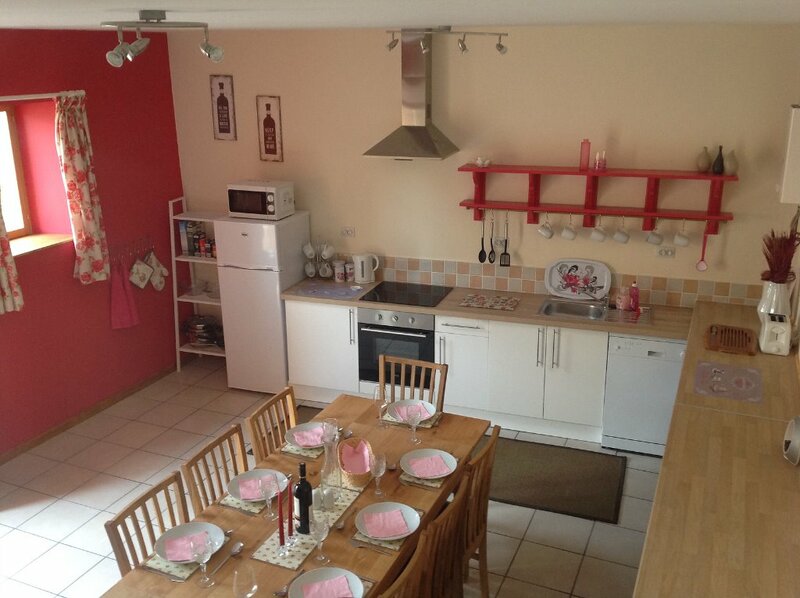 2 – Lianne will then reply to you with price quotes for the gites available. 3 – You then will need to send a confirmation email that you are happy with the quote and which gite you would prefer and forward 25% of the quoted price as a non-refundable deposit to secure the booking. Our preferred method of payment is by direct transfer to our English bank account – details will be forwarded following your confirmation e mail. We can accept cheques and direct payment to our French account. 4 – Once your deposit is received you will receive another email to inform you that your booking is secured. 5 – The balance of your payment will be due 8 weeks prior to your holiday. Please read the terms and conditions fully for your information. 6 – Last minute / short term bookings will need to be paid in full at the time of booking and can be discussed on an individual basis. 1 – Bookings will only be secured following receipt of a non-refundable 25% deposit. 2 – Payment of the full amount to be made 8 weeks prior to the commencement of the booked holiday. 3 – In the event of a cancellation, refunds of amounts paid (minus the non-refundable deposit) will be made if we can re let the property. We will make deductions of any costs incurred e.g. further advertising or reduced rates for last minute bookings etc. Clients are advised to arrange comprehensive travel insurance to include cancellation cover, personal belongings and public liability cover. 4 – A security deposit of £100 will be required in case of damage to the property and will be payable at the time of full payment of your holiday. We acknowledge that accidents happen and ask that you report any damage to us as soon as possible as in most cases these can be easily resolved. Your security deposit will be returned to you within 3 days of your departure. 5 – Prices include bed linen and towels, electricity, gas and a welcome pack including tea, coffee, sugar and miniature toiletries. Beach towels are not provided and we politely request that towels provided in the gites remain in the gites at all times. 6 – Our Gites are designed for specific numbers of people and any guests over this number that can be comfortably accommodated will be charged at a rate of an extra £50.00 per person per week. This can be discussed on an individual basis. 7 – In order to ensure the Gites are in perfect order, the arrival time for guests will be from 2pm and departure time at the end of your stay will be 10am. This can be discussed on an individual basis and facilities are available for you to leave luggage etc. During the high summer season (July to September) holiday rents will be from Saturday to Saturday, this can be discussed on an individual basis for the rest of the year. 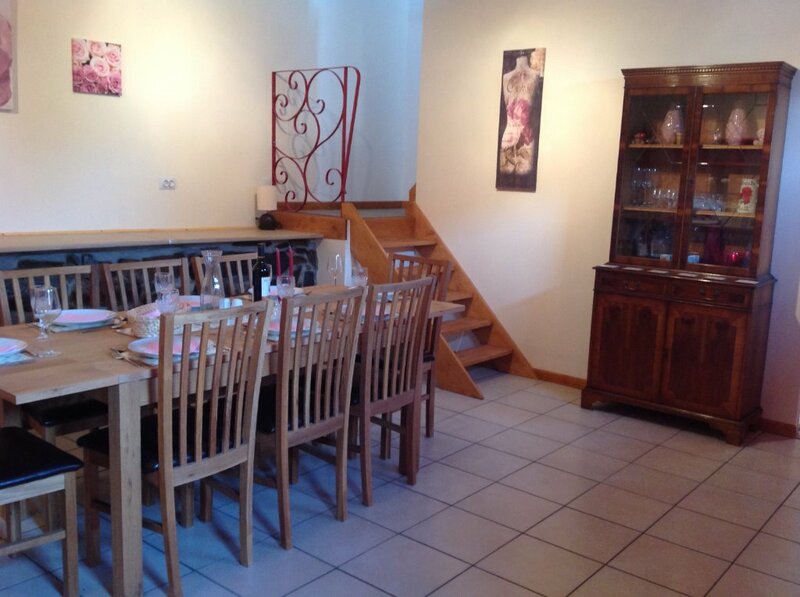 8 – Our Gites are self-catering accommodation and we ask that they are left in a clean and tidy condition. Should additional cleaning be required this may be deducted from the security deposit. 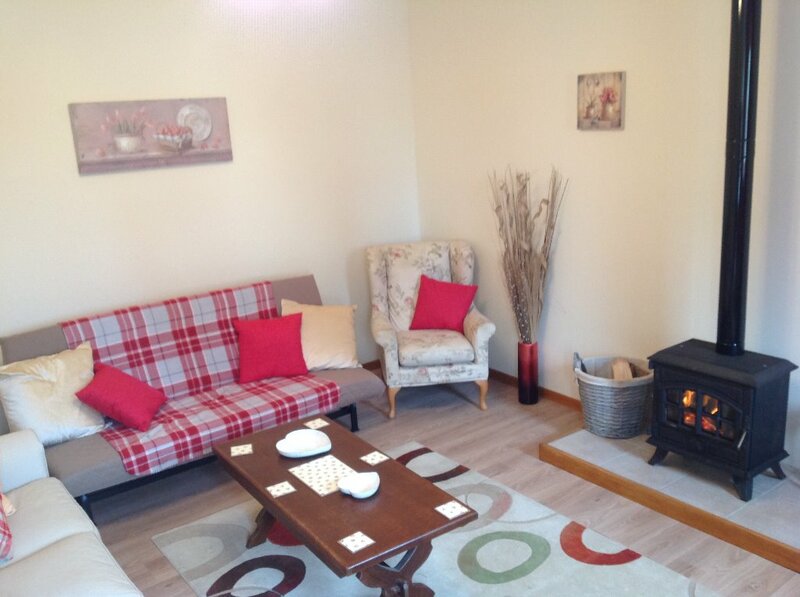 9 – All Gites are strictly non-smoking, outside facilities are available. You may wish to print and or save a copy of these for your future reference. 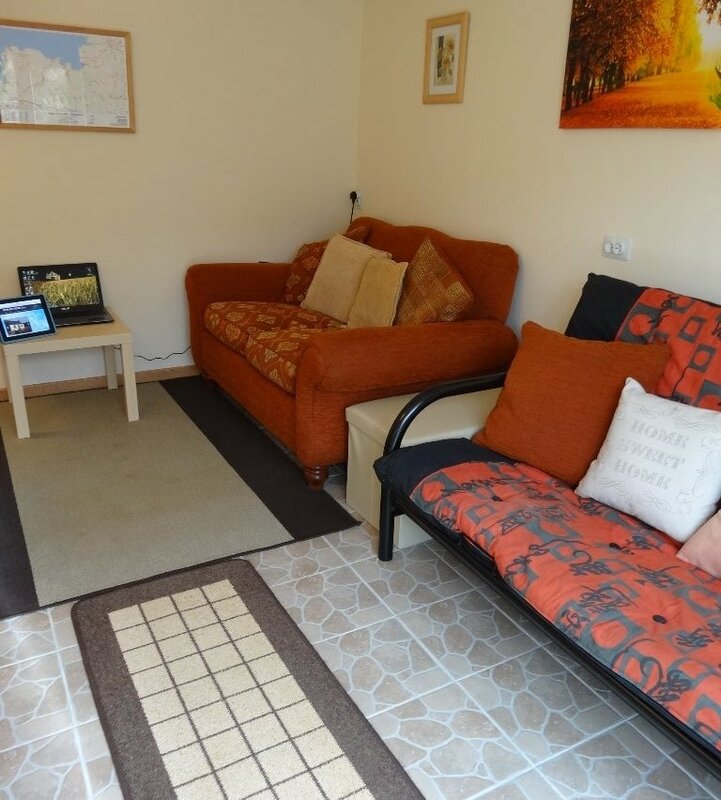 £100 security deposit will be taken at the time of paying your final balance for your holiday. It will be returned within 72hrs of your departure from Pen ar Voas.